FCx4 HD HDMI Fiber Optic Extender support extends HDMI up to 6600 feet (2000 meters) using a 4-Coe 9/125µm single mode fiber optic cable. It supports resolutions up to 1080p Full HD and HD lossless audio formats like LCPM 7.1 audio, Dolby® Digital Plus, Dolby® TrueHD, and DTS-HD® Master Audio™. Optical signal transmission provides galvanic isolation and immunity to electromagnetic interference compared to similar copper based extension modules. 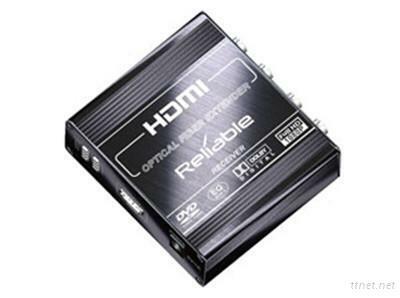 ◆ Single link HDMI signal. ◆ Compatible with HDMI 1.3a standard. ◆ Supports computer resolutions to 1920x1200 and HDTV resolutions to 1080p.